This itty-bitty kitty finds the comfiest place to sleep in and she refuses to give it up to the dogs! …Even if it’s their bed. Their human had bought the bed for the two dogs to share, but unfortunately, things did not turn out as she had hoped! 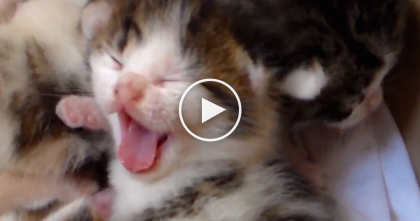 This kitty may be little, but she is mighty—SHARE this with your friends! 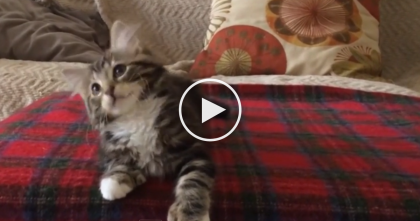 This Kitten Has The ‘Dance’ Moves You Can’t Miss…Uptown ‘Kitty’ Funk Is In The House! 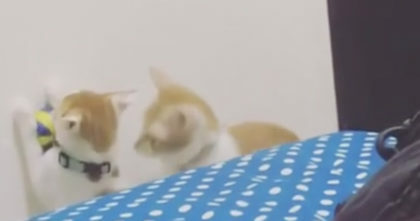 Brother cat asks sister to get his favorite toy for him, but when I saw her reaction, I just MELTED! 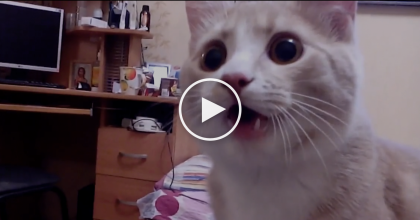 One Kitten Started Meowing, But Now Watch What The Others Start Doing Next… SOO Adorable! !